As the Red River in Fargo, North Dakota, makes its annual run beyond its banks, musicians of all stripes may want to take a few quiet moments to ponder the greatest loss of priceless and historic guitars – when Nashville’s finest instruments were lost in the flood. For the good people of Music City, the memories of those terrible days in May, 2010 are still fresh in their minds, and without a doubt many people suffered far greater losses than that of a musical instrument. In the wide circle of guitar mavens, though, Nashville represents a watery, silent grave for instruments that once channeled the sounds of some of the greatest players the world has ever known. Soundcheck Nashville, described as a “cartage facility“, was a warehouse of sorts where professional musicians – among them Vince Gill, Keith Urban and Brad Paisley – stored their gear. It must have made perfect sense for them, since Nashville is not only a central hub (geographically speaking), but the location of so many performances. 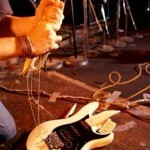 Paisley lost all of his stage equipment as well as his instruments. Urban had to borrow a guitar to perform at a telethon to raise relief funds for the flood victims. The Musicians Hall of Fame, which had barely been open a year at the time of the disaster, also used the 160,000 square-foot Soundcheck Nashville as a storage facility. When the floodwaters of last spring rolled through Nashville, instruments that were once played by Johnny Cash, Pete Townshend and Jimi Hendrix were forever hushed under some nine feet of water. Also destroyed was the bass guitar that was used on Hank Williams, Sr.’s last album, the bass that you hear in the song, “Your Cheatin’ Heart“. 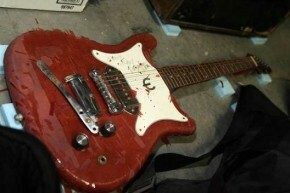 It was not the first such tragic occurrence to hit the world of music. In 2001, Tropical Storm Allison raged through southeastern Texas, resulting in 90 flash-floods whose warnings gave an average of 40 minutes’ worth of lead-time. The historic theater district of Houston was especially hard-hit, with floodwaters claiming millions of dollars in costumes, instruments and sheet music. This sort of tragedy is hardly unique to American players. The same situation befell Australia last year, and again, charitable organizations stepped up to the fund-raising plate in order to make whole those who lost their gear to the indiscriminate wrath of God when both floods and wildfires ravaged wide swaths of the country. Ironically enough, after Hurricane Katrina wiped out the fortunes (and collections) of so many musicians in New Orleans, a Hendrix-owned Stratocaster was auctioned off for nearly half a million dollars. In the same auction, a guitar owned by U2’s Dave “The Edge” Evans sold for over $200,000, with all of the proceeds going to purchase replacement instruments for those who lost instruments to the worst natural disaster the United States has ever suffered. Nashville, though, remains the low point for many in the music industry. Never mind the checks that were surely cut by insurance companies. 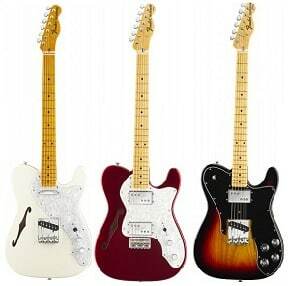 Guitars that are part of music history are, simply put, irreplaceable. 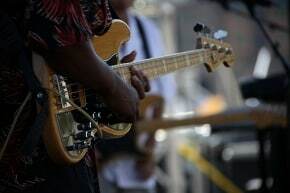 Still, rock-and-roll icon John Fogerty (who lost several of his guitars) managed to put it in perspective, telling Reuters, “Trust me, I love guitars and it was kind of sad to say goodbye to them. But losing a guitar is really nothing compared to losing a song, or a bunch of songs, or your life savings that was earned by those songs.” He speaks from experience. In places like Fargo, where flooding is a near-annual event, the citizenry is usually able to anticipate the rising waters. There is plenty of time for valuable treasures of all kind to be moved to high ground. 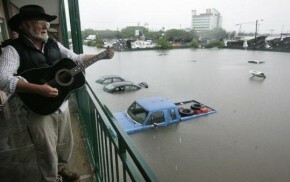 In the Nashville floods of 2010, everyone was caught by surprise. When the levee breaks, you have no place to go. 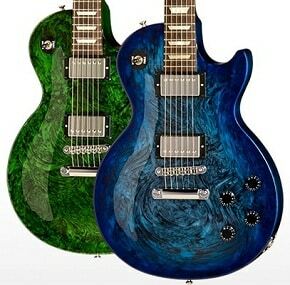 Gibson Guitars create a memorial Anniversary Flood Les Paul Studio guitar. 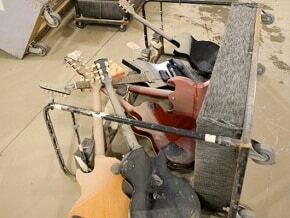 Gibson says it’s to commemorate the Nashville Flood of May 2010… But is the real motive behind it greed? Read: Gibson Flood Les Paul Studio Guitar to learn more.